The scale of the landscape in the high desert of the White Mountains only reveals itself when you put a human figure in it. 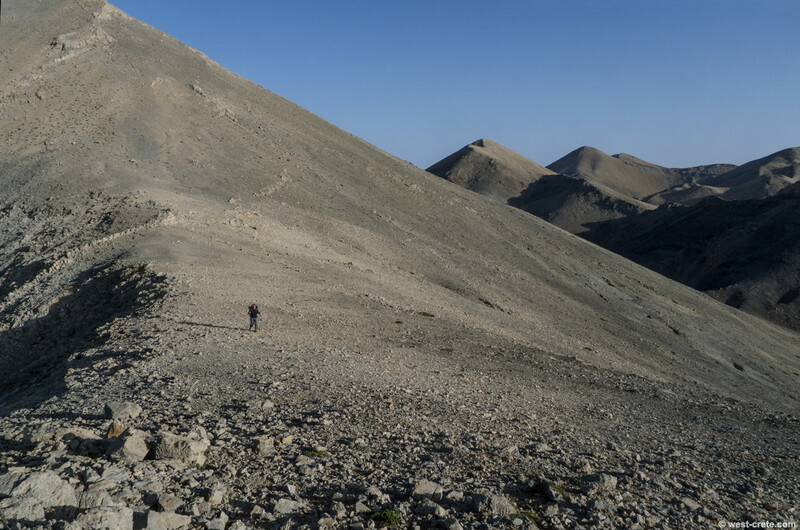 So here is a photo of myself traversing the western slope of Mesa Soros on my way to the summit of Svourichti. The summits of Sternes and Troxaris are visible in the background.